Leader of the group. (just to make sure) Impressed by Oscar Peterson’s performance, started to play the piano at the age of 18. First a beginner playing with one finger, now a unique piano player, taking charge of every lyric and music-composed for Fuumido. First music route was heavy-metal and convinced that music other than heavy-metal is not music. Not to mention, a good driver with strong traffic ethics. A hard-headed guy for any wrong morals, but at the same time, has an unlooked-for side. Has experience in a wide-range of music such as heavy-metal, hard-rock, and fusion, also interested in other instruments such as guitar and trumpet. Plus, has manifold hobbies such as watching movies, playing at dams and going out-doors. Biker with a large-size motorcycle license. Formed ‘Fuumido’ in October. Watari met with Nakatomi from the recruitment notice that Nakatomi had posted at a studio in Fukuoka. The two got along well and decided to look for other members. Finally, Toriguchi, the bassist, entered the group, forming guitar-less trio. 01.09. Became the champion at the ‘4th Heart of Gold Audition’. 02.09. Accomplished the superior award in ‘NTT Broadband Net Audition’. 03.01. Moved to Tokyo. Started to compose music and live works at Tokyo area. 03.04.23　Released indie’s first mini album ‘Hana Toridori’. 03.12.10　Released indie’s second mini album ‘sketchbook’. 04.07.23　Released indie’s summer-limited single ‘Manatsu no Ecstasy’. Sold limited 2310discs on the spot (11th place in the Oricon Indie’s Chart). The rumor of ‘Fuumido’ started to become popular. 04.07. Appeared in Fuji Rock Festival ’04. 04.11.10　Released first single ‘Nemurenu Yoruno Hitorigoto’ (The opening theme of ‘CDTV’ during October, broadcasted by TBS. ), and major debuted. 05.04.27 Released third single ‘Rakuen wo Mezashite’ (The CM song of JAL on 2005). 05.04.29 Appeared in ARABAKI ROCK FESTIVAL (at Sendai Minato accel). 05.06.22. Released their first album ‘Fuumido’. 05.07.07-21 Held Fuumido one-man live tour ‘Rakuen wo Mezashite’. 05.07.29 Appeared in FUJI ROCK FESTIVAL 2005. 05.08.05 Appeared in ROCKIN JAPAN FESTIVAL 2005. 06.05.03 Released new single ‘Craction Love -ONIISAN MOTTO GANBATTE-‘. 06.06.05-21 Started live tour ‘Craction Live’ starting from Oosaka BIG CAT 2DAYS. 06.06.24 Participated in ‘1st Tokyo Utanohi Concert’. 06.06.25 Participated in ‘6th Utanohi Concert’. 06.07.23 Participated in FM802 MEET THE WORLD BEAT. 06.07.28 Participated in HIGHER GROUND 2006 Zenyasai. 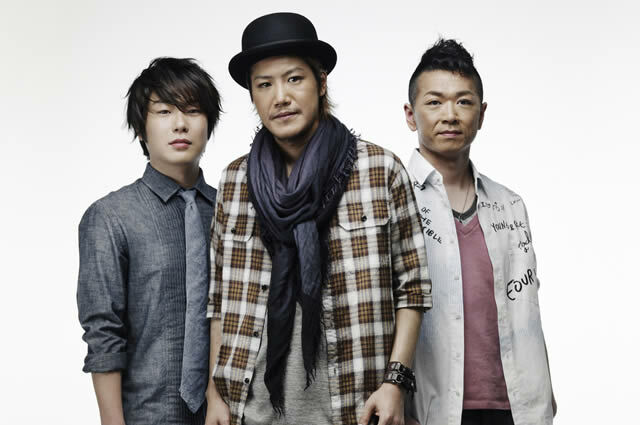 06.08.23 Released their sixth single ‘Aishiteru’. 06.10.25 Released second album ‘Fuumido2’. from Kyoto, performing at 15places over the country. 06.12.30 Held ‘Kenban Ecstasy Vol.3’ at Zepp Tokyo.